The 8th annual Eastern Shore Sea Glass and Coastal Arts Festival in St. Michaels, Md. will now have a larger, waterfront location at the Chesapeake Bay Maritime Museum. The festival takes place at CBMM on Saturday, April 6, 2019 from 10–5 pm. and Sunday, April 7, 2019 from 10-4 pm. The new venue also expands the festival—which was previously held at the Old Mill in St. Michaels—to include scenic river cruises, live music, food, and libations. 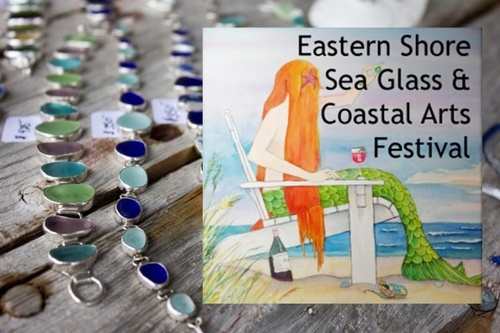 The Sea Glass Festival will feature more than 70 artisans many from the local Delmarva area, and others travelling from as far away as New England—who will exhibit and sell coastal and sea-glass related jewelry, home décor, art, and more. 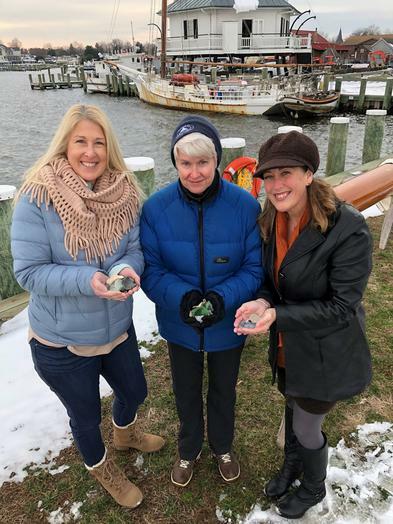 The festival also includes educational lectures about sea glass and its history along the shores of the Chesapeake Bay. Miles River cruises aboard CBMM’s 1920 buyboat Winnie Estelle will be offered throughout the two-days. The two-day festival ticket includes entrance to the Eastern Shore Sea Glass and Coastal Arts Festival, educational lectures and documentaries, live music, all of the exhibitions and historic structures on the campus of the Chesapeake Bay Maritime Museum and is set at $15 for adults; $12 for seniors and retired military; $6 for children 6-17; and $5 for CBMM members, member’s children 6-17; and active military (ID required). Advanced admission tickets can be purchased online at web address, with tickets also sold at CBMM the day of the event. Family & Friends Membership Level and above can extend member pricing to TWO guests. PLEASE NOTE: The Museum Store now has an ATM.